It is that time if year--Spring Break for those of us still in the work force and therefore calendar constrained. 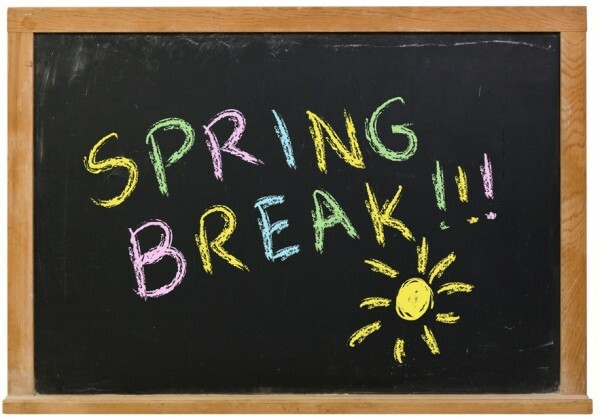 I wish businesses celebrated Spring Break with time off, but at least remaining connected with the school system through Chris, I get the opportunity to enjoy the break from studies just like I used to in the good old days. Some systems are effectively ending their Spring Break this weekend; however, Howard County, Maryland, begins Spring Break today. Is it any coincidence that it begins on Good Friday? I'm not sure. Often it ends on Easter Monday. Regardless, it is the time of year for planning a vacation or usually in our case a work week around the homestead to clean up the winter debris. 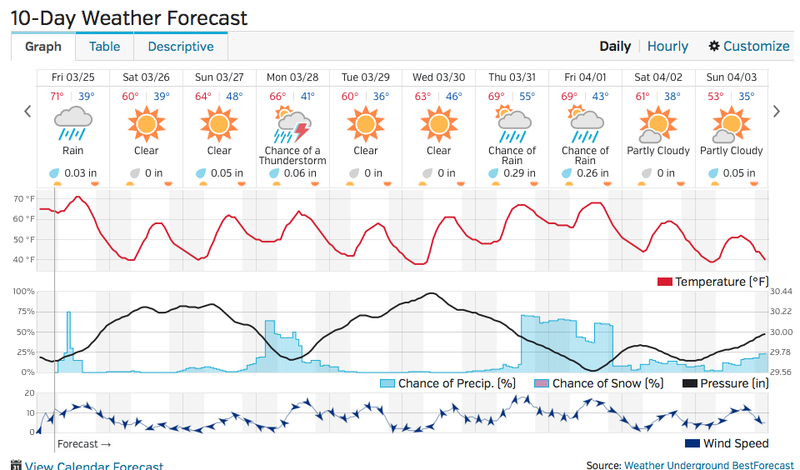 I do enjoy the week when the weather is supposed to be good--as it is next week. 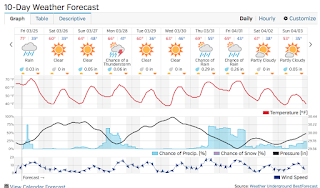 At least 60's every day and lots of sun! I am glad that I have not lost touch with Spring Break and since I wrote of retirement yesterday, I guess I envision that aspect of my like as a permanent Spring Break. I know my friends who have already achieved that milestone do not seem as calendar constrained as I am now. Is there a beach calling my name from somewhere?